Bo Diddley is Dead too. 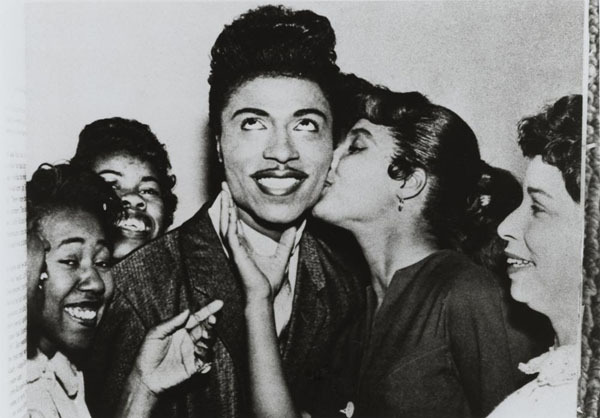 Little Richard is still alive. He is Gay in case you cant tell. I would have said this was sad but I thought he died years ago. Johnny B Good is a classic. Sadly, there is going to be a lot of the old guard leaving soon. Founding Father of Rock n' Roll. I've heard the name Chuck Berry I think but it has been so long ago (like when people use to listen to 8-tracks tapes) that I thought he was either a fictitious character in some story or that he died a long long time ago. (03-19-2017, 12:32 PM)Kreeper Wrote: I would have said this was sad but I thought he died years ago. No kidding, I could have swore he passed 3 or 4 years back. Most of what people claim to be the Mandela Effect is just faulty memories. The first one I remember vividly was actually Zechariah Sitchin. A friend and I used to read his books and talk about them. I vividly remember him being at my place one day and it was announced on the news that he had died of a heart attack. We were both stunned. Imagine my surprise 10 years later when I found out he was on tour! And then he died again.